A proverbial beatific match made in Fuzz Club heaven. I confess to having been a bit of late-comer to The Black Angels, but when they appeared on my radar in December 2013, I fell for them hook, line and sinker. Their sound simply encapsulated all of the elements I had adored since my first adolescent stirrings with The Doors, The Velvet Underground, Joy Division, The Cure, Echo And The Bunnymen et al. I duly clicked on the YouTube link he had forwarded for ‘It’s Time To Hear’ and I was immediately captivated. So much so, I was compelled to post on Sonic Jesus’ Facebook page, “I listen to this and I’m in the desert, on a camel, with Marco Polo…”, such was the state of transcendental rapture I found myself in. I genuinely had never expected to hear NEW music of this calibre again, I had found myself bogged down in the quagmire of ‘Classic Rock’ purgatory, where yet another remastered vinyl release was as good as it gets. Thankfully, The Myrrors, The Black Angels, Dead Skeletons and Sonic Jesus changed all of that forever. I have yet to witness the holy grail that is The Black Angels live, but Sonic Jesus were reason enough to make the pilgrimage to Eindhoven Psych Lab, which was easily my best overall gig experience in 30 years. The Black Angels’ ‘Molly Moves My Generation’ is everything and more, that you’d expect from a band who have helped define the very essence of the genre, since the release of their debut album ‘Passover’ in 2006. There is a darkness to this track, perhaps more reminiscent of ‘Passover’ and it’s follow up ‘Directions To See A Ghost’, than there has been on the subsequent ‘Phosphene Dream’ and ‘Indigo Meadow’ long players. ‘Molly Moves My Generation’ starts out with an insistent, driving, marching drumbeat before becoming ensnared and enmeshed in the snarling guitar and wailing drone ensemble. Lyrically, the track reprises The Black Angels’ “Heed the warning: Don’t Play With Guns” mantra. A malaria fevered, tribal interlude follows before all hell breaks loose, writhing to a shamanic, hypnotic, climactic finale. Sonic Jesus’ ‘Lost Reprise’ is a 7 minute and 39 second, exquisite drone meisterwerk. It picks up the baton from ‘It’s Time To Hear’ in terms of it’s methodical tempo and phrasing, but as the title suggests it just keeps pushing the envelope until there is quite literally no envelope left to push. ‘Lost Reprise’ has a mystical character, to which I imagine myself in the presence of Blake, performing alchemy or summoning the demiurge Urizen. The sparse yet lush opening guitar chords evoke a lunar, sea of tranquility dreamscape. Layer builds upon delicious droning layer, joined by a plaintive, rich vocal akin to a relentlessly mesmeric siren song. It is not often that you can press the repeat button continuously for the best part of two days, and heap reward upon sustained reward. This has been a rare but glorious exercise in self indulgence. “The road of excess leads to the palace of wisdom.” If The Doors and The Velvet Underground are playing in the ballroom, The Black Angels and Sonic Jesus have secured the keys to, and are the house bands in the basement. The Black Angels / Sonic Jesus Split Single, No 5 in the Fuzz Club 10″ series, is limited to 1000 copies. 250 on transparent red vinyl with black labels, (exclusive to Fuzz Club Store), and 750 on white vinyl with white labels. Due for release on Friday 15th December the split single is available for pre-order now from the Fuzz Club Store. Nail on the head, “Classic” rock…shudder.Think I was in the same place as you a while back. Thankfully bands like these two came along and banished those deflated blues. 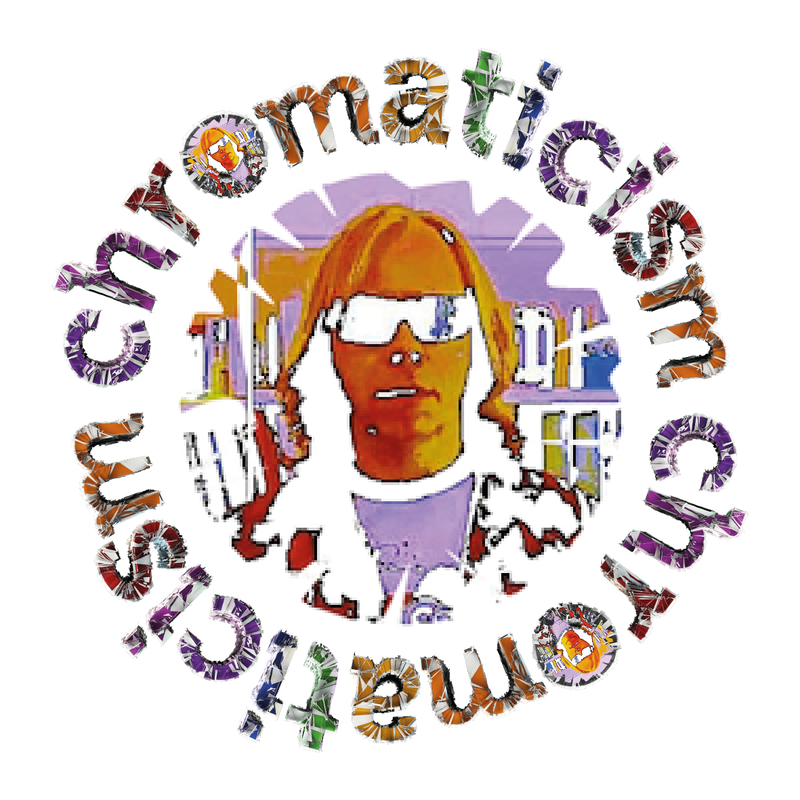 Great review, to the bands, thank you for bring us such amazing music, and to you Chromaticism, cheers for keep the sounds coming to us via this site.